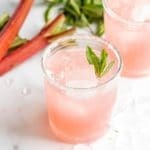 Rhubarb season is short and this refreshing rhubarb vodka cocktail shouldn’t be missed! Quick and easy to make, the Rhubarb Pie cocktail will become a spring favorite! 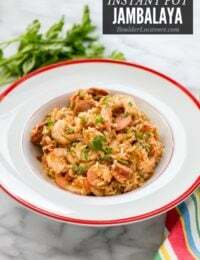 This recipe was originally shared in June 2011 and has been updated in May 2018. As I have been prowling the Boulder Locavore Recipe Archives for rhubarb recipes (I buy it like a hoarder whenever it comes into season) I landed on a cocktail staple: Rhubarb Pie Cocktail. 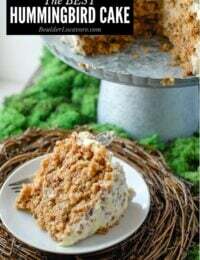 It may be what made me fall in love with rhubarb in the first place! I’ve dusted it off and am sharing it today thinking the cocktailers amongst you will love it too! Soon after I started Boulder Locavore, when I was in full discovery mode of local food producers, two girlfriends bought me a bottle of Altitude Spirits Vodka 14. It’s a locally made vodka and USDA certified organic. It gave me a prompt to contact the company to learn more and they provided the original recipe for Rhubarb Pie cocktail. The recipe has since been iterated but it remains a favorite refreshing spring cocktail. What Does this Rhubarb Vodka Cocktail Taste Like? 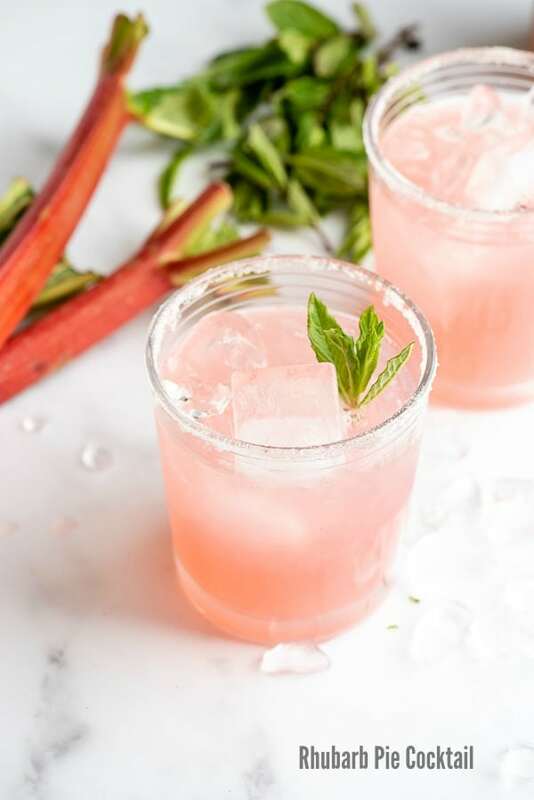 This rhubarb vodka cocktail is made from sweetened rhubarb juice from homemade rhubarb puree, and vodka. It’s very simple. The rhubarb vodka cocktail is light and refreshing, with the flavor of slightly sweetened rhubarb; lightly tart and tangy. The cocktail glass is rimmed with sugar and a bit of cinnamon giving it extra sweetness but not too much! Much like the recent Rhubarb Fool recipe, fresh rhubarb is cooked briefly with sugar and a bit of water. 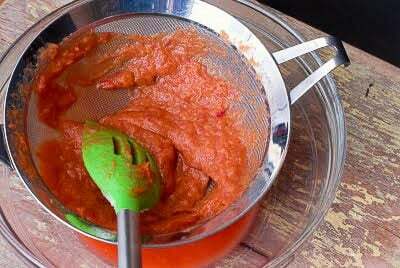 It breaks down into a puree which is strained to release the sweetened juice. It’s this juice that’s used to flavor the rhubarb vodka cocktail. An ounce of the syrup is shaken in a cocktail shaker with two ounces of vodka. 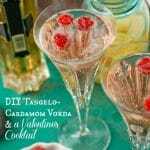 It’s poured over ice and topped off with club soda for a refreshing fizz. 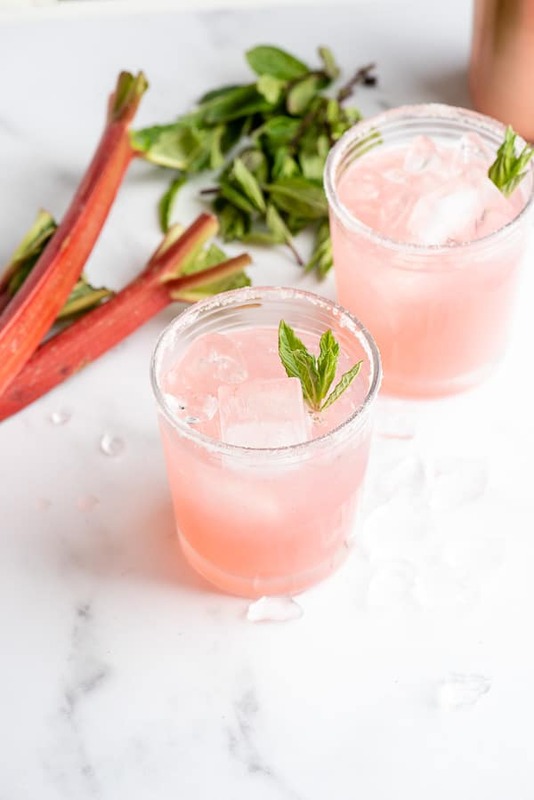 The rhubarb vodka cocktail is very thirst quenching and a fun way to use fresh rhubarb during its short season. 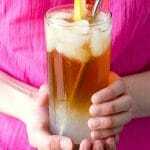 The cocktail recipe is all about harvesting the sweetened juice for the cocktail and does not use the pulp. You can use the pulp in Rhubarb Fool, eat it over yogurt (plain or strawberry), or ice cream. Fold it into muffin mix. It’s a shame to let it go to waste with rhubarb season being so short! Make it a Rhubarb Pie Mocktail! 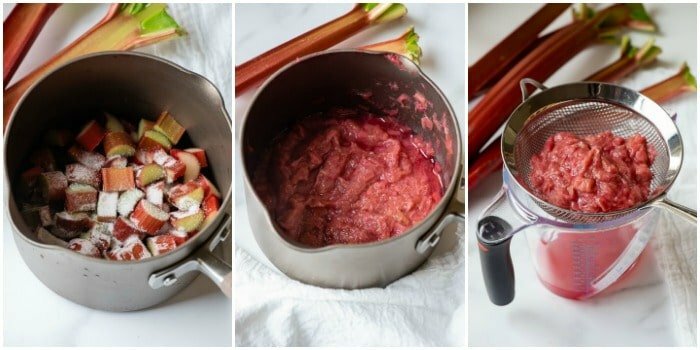 To make a version without vodka, follow the instructions to make the rhubarb puree and extract the juice. 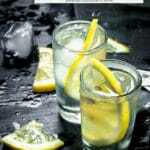 Pour 1-2 ounces of the juice into a glass filled with ice and top with sparkling water or club soda (stir too)! 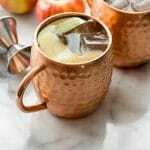 If you’ve tried this Rhubarb Pie Cocktail recipe or any other recipe on BoulderLocavore.com please don’t forget to RATE THE RECIPE and let me know where you found it in the comments below, I love hearing from you! Despite the name this cocktail is not overly sweet. It bears the fresh, tart taste of spring rhubarb with the smooth vodka for a completely refreshing signature spring cocktail. NOTE: the rhubarb may be cooked and juice extracted then chilled in the refridgerator before making the cocktails. The reduces the cocktail making time to about 5 minutes. Place the rhubarb, water and sugar in a medium saucepan over medium heat. Stir periodically for 5-10 minutes until the rhubarb has broken down into a puree. NOTE: taste the puree and if desired more sugar may be added. Place a strainer or sieve over a bowl and pour rhubarb mixture into the strainer. With a spatula or pliable spoon, push the rhubarb through the strainer to release the juice. Allow strained juice to cool. NOTE: pulp is not used in the recipe but may be used for other recipes (see blog post). Pour 1/4 cup granulated sugar with a dusting of ground cinnamon in a small plate. Mix to combine. Rim cocktail glasses with the sugar mixture. 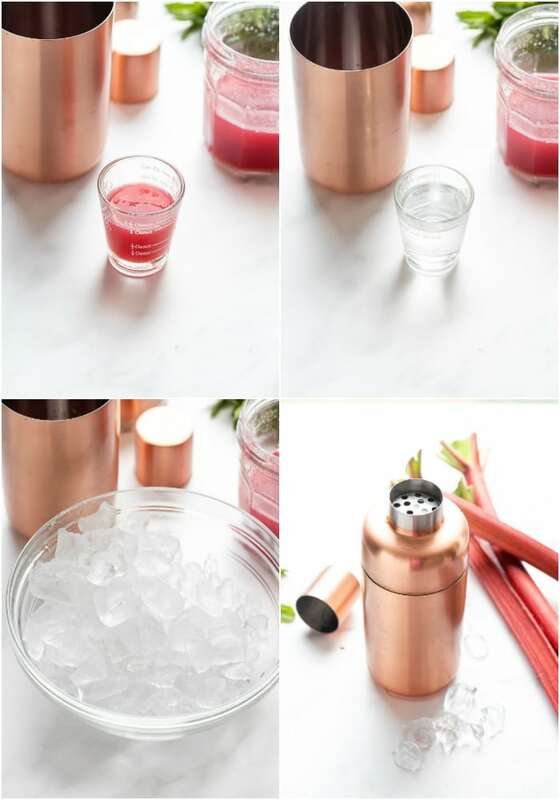 Mix 1 ounce rhubarb puree with 2 ounces Vodka in a shaker with ice. Shake, pour over ice in a lowball glass. Fill with club soda. 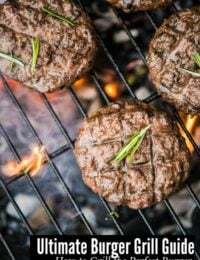 Recipe adapted and published with permission from Altitude Spirits. Oh this sounds really refreshing! I haven’t had rhubarb in ages and I would like to try making this cocktail. Hopefully I can find some rhubarb at the grocery store tomorrow, or maybe make a quick trip to the farmer’s market. I love rhubarb pie but I’ve never had a cocktail flavored like it before. I think this one’s great for catching up with friends when you’re at home and just having a lot of fun! This drink looks pretty and delicious! I never see rhubarb in the stores but you have made so many great things with it. If I find rhubarb I il try and make this cocktail for happy our and the mocktail for the kids. Now I would never have thought of making a rhubarb pie cocktail, however, my Dad is a huge fan of rhubarb so I might have to try and make him this next time he comes over. I obviously need more rhubarb in my life! Up until now, I have only tried it within the classic pie, but this cocktail looks delicious. 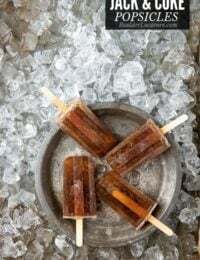 This could be THE drink of the summer! 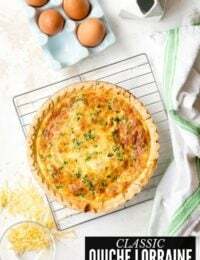 It would take the guesswork out of what to do with some of the rhubarb that is picked. This is such a unique and delicious cocktail! This looks great. Just wondering, the rhubarb is measured in ounces. My understanding is that ounces can mean weight or volume, and the measurement would not turn out the same depending on which one you choose. Which way should it be measured? Great question, Michelle. 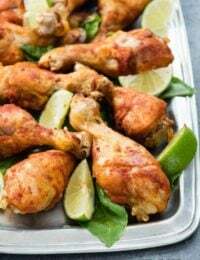 It’s weight and I’ve updated the recipe to make that more clear. Thank you! This looks like a lot of fun. Thanks for joining us for the Great British Rhubarb Recipe Round Up. This looks delicious! 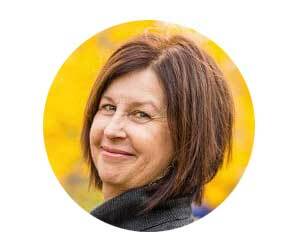 I am sharing your article with my newsletter readers. Vodka 14 is wonderfully clear and pristine! wow, I'll remember this instead of the tonic next time. A lovely mix. I think we should take a field trip and try all of their products! My English girlfriend gave me some local organic gin and I loved it. Oops, yes, it is all gone and I think their Juniper green sounds really good. I will safe the recipe to try with my homegrown rhubarb. ahhhh Vodka…sigh, when I did drink eons ago, that was my alcohol of choice. Now it would just put me to sleep! Is this what John Denver meant with a rocky mt high? Well I should have known that Boulder would have an organic Vodka! 🙂 I'll have to watch for it, I'm usually a wine drinker, but have been known to have a vodka martini here and there. 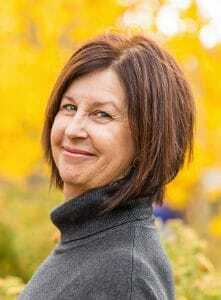 Great post Toni and thanks for the information. I'm all about this cocktail! We like Vodka around here too and I'm really digging the beautiful color of the rhubarb. Well done! I love that you found a way to use rhubarb in a cocktail! Wonderful! This sounds amazing!! The perfect summer drink! Girlfriends and vodka are a great combination! That drinks looks yummy! Love the vodka's packaging, too.